(CNS): The Progressives have formally confirmed their six candidates for what is expected to be a major battleground in the May General Election in the capital. At a George Town party meeting Wednesday night the candidates were elected by the party membership after an 11th hour nomination was put forward for a seventh potential candidate. Frank Cornwall was nominated and added to the ballot but in the end the six candidates who had previously been nominated by George Town members were all elected by a majority. Delighted with the final team, Opposition Leader Alden McLaughlin said the party was now ready to win all six of the George Town seats. McLaughlin, Kurt Tibbetts, Lucille Seymour, Kenneth Bryan, Marco Archer and Joey Hew were all confirmed for the capital’s ballot by the party’s GT membership. The opposition leader said the party mechanisms had worked and allowed the opportunity for the candidates to be elected in a democratic process. However, McLaughlin said that now the team that he will be leading in the capital was confirmed, the hard work would begin. Confident that the Progressives will take George Town but with as many as 30 candidates across four parties or groups, as well as numerous independents, the vote in George Town was bound to be widely split, he said. He added that the Progressives were not only a cohesive group big enough to form a government without having to horse trade, it was the only party, team or group that has already sat down around the table and hammered out policies and programmes and has a shared common philosophy and vision with the experience and capability to implement those policies. “The uncertainty of a disparate group which would be forced to cobble together a government is not something voters want,” he added. Ironically, the people advocating for independents would not operate their business that way as people expect their employees to support company policy, he noted. “A team means that its members are already working together to achieve a common objective. The reality is you have good, bad and different kinds of parties,” he added. 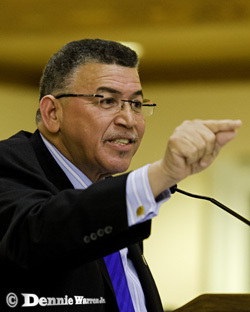 McLaughlin said the Coalition for Cayman (C4C) was essentially a type of party but their leadership was a discrete small group of people and voters could not see the behind-the-scenes machinery. He admitted that parties had to have leadership but in a democratic party it is the party members who decide those leaders and the membership contributes to policy formation in a number of ways. The backlash against party politics was based on the erroneous position that all parties are bad because of the UDP, the PPM leader stated. “People have wrongly concluding that once someone joins a political party they all become robots. That’s not true. Why is it that all over the world the political system operates through political parties in a democracy?” he asked rhetorically. “There is good reason as there has to be organisation and mechanism to deliver on political promises, which independents can’t do. “The UDP is the best example of a bad party as it has really been a support system for a dictator and I never been able to figure out how one is a majority of nine, as no matter what he wanted he got," said McLaughlin. Nevertheless, in the end some of them realized that they did have the power when they sided with the opposition’s no confidence motion, he noted. The PPM leader said he did not fear the resurgence of the UDP in the capital and their possible full slate of six candidates and he believed if it were a straight fight between them, the PPM would romp home. However, the opposition leader recognised that with the five Coalition for Cayman candidates who have declared, plus the interim government's expected candidates, as well as the various independents, the number of people running in George Town will split the vote. He warned that in those circumstances no one gets what they want. With six seats up for grabs and some 7,500 people able to cast six votes, the race was going to be an interesting one but he said he believed the people in the capital would back the PPM as the party enjoyed considerable support. At Monday’s meeting at the Seafarers Hall, he said, it was standing room only as the PPM base in the capital is growing again as the election approaches. 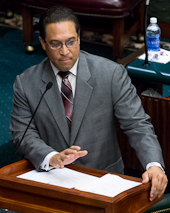 McLaughlin said he believes the Progressives have struck the right balance between political veterans and novices and different types of skills and experience in the team. Being a success in business or in his own legal profession does not necessarily convert to being a successful MLA, he said, adding that while there are several lawyers in the Progressives team, himself included, they are not there just because they are lawyers but because they care about what the people need. During the meetingMonday the Progressives in George Town nominated the party executive. Anton Duckworth was not seeking nomination as chair this time and Pat Estwick was nominated for that post. Barbara Connolly was nominated as general secretary and Vanessa Godfrey-Banks as treasurer. They will all go forward to be elected at the party conference on 23 March alongside any other district nominees. 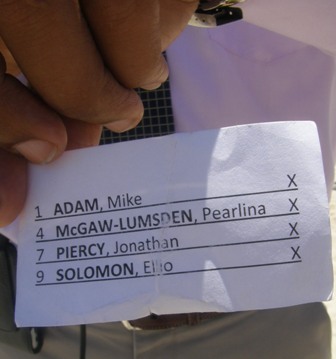 With the Bodden Town district slate already confirmed and the Deputy PPM Leader Moses Kirkconnell expected to retain his seat in the Sister Islands, the remaining team members to be nominated are in West Bay, which will be confirmed on 7 March, when the party will reveal its fourth man for the district likely to still be the hardest battleground of all for the Progressives. The Cayman Storm were also welcoming back many of their 2nd row and back row players who had been lacking in their heavy losses to the Buccaneers and the John Doak Architecture Iguanas. Buoyed by their fuller squad the Storm took the lead with lock Hugh Williams crashing over the line in what is becoming a trademark swallow dive from only 5 yards out. The Storm extended their lead to 10-0 when Michael Sumares covered the majority of the field in a solo effort to add 5 more points to his teams tally. The Pigs, who had previously this season defeated the Cayman Storm 18-35 managed to get into gear when sending James Waters in for 5 points before throwing all but the kitchen sink at the Storm in the closing moments in search of the win. It wasn’t to be for the Trotters but the lossby less than 7 points saw the Pigs earn what may be an invaluable losing bonus point. 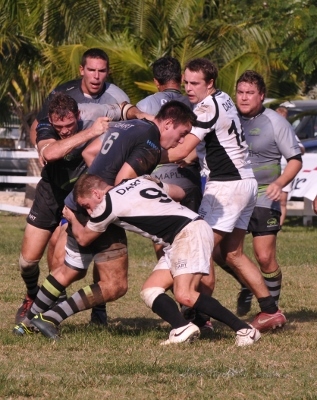 The 2nd encounter of the day between the Iguanas and the Buccaneers saw the Iguanas coming out of the blocks early and looking likely to take control of the game from the outset but the Buccaneers absorbed the pressure well as the Iguanas looked for an early try instead of slotting opportunities for points with the boot. The cooler Buccaneer heads however slotted 6 points from the boot of John Murphy to ease nerves and earn a 6-0 lead going into half time. The Iguanas then suffered the loss of Shaun Hardcastle and Chris Bunce both going off the field with head injuries leaving a hole at fly half to be filled by Ollie Collins and the mounting pressure and fatigue on the Iguana forwards meant the Buccaneers slowly but surely found their way to the try line and never looked back as 4 Buccaneer forwards including Mick Kehoe, Saviri Tabuniwera, Shaun Gerrard and Stefan Prior bullied their way past the Iguana pack to score and ring in a resounding 30-0 win over the Buccaneers. The bonus point win for the Buccaneers sees that team take a 2 point lead over the Iguanas in the league table and a win over the Cayman Storm in week 6 will see the Buccaneers raise the league trophy for the first time in 5 seasons. However should the Cayman Storm continue on from their win over the Pigs Trotters with an upset against the Buccaneers then the 4pm Fixture between the Iguanas and the Pigs Trotters may well decide who will win the league. (CNS): A 42-year-old woman from West Bay died in the early hours of this morning over four hours after she was involved in a car crash on Mount Pleasant Road last night. The woman was driving a 2001 Toyota Rav4 unaccompanied from the direction of Capt. Reginald Parsons Drive towards the Caribbean Bakery and Grocery. As she approached a slight right hand bend in the vicinity of Pleasant View Apartments, the vehicle veered off the road and collided with the pole at the left side of the bend. The driver was coherent at the scene when the police and medics arrived, but she subsequently died in the early hours of Thursday morning at the George Town hospital. It is not clear if the woman’s injuries were the cause of her death. Police said that officers on the scene of the accident had noticed that the woman had a laceration to her right foot and only superficial wounds to her face. Other sources said there was little significant damage either to the light pole or the car. Officers from the RCIPS are continuing the investigation into the crash and anyone with information is asked to contact the investigating officer PC 330 Donovan Chong at 927-1685. His colleague Roy McTaggart agreed, telling CNS that he had no objections to the UK sending election observers. “Cayman has a strong reputation of conducting fair elections and I have every confidence that this election will be no different,” he said. Bush, who is due to answer police bail again later next month, was removed from the top job by his party colleagues shortly after the arrest, when five of the former UDP government members voted with the opposition and the independent candidates in favour of a no confidence motion in the Legislative Assembly filed by opposition leader, Alden McLaughlin. The UDP government then fell, but the opposition leader and both the representatives from the eastern districts agreed to support a quorum for the former UDP members to hold office until the parliament is dissolved ahead of Nomination Day next month.